B. Thomas (Arlington, Texas, United States) on 19 July 2015 in Plant & Nature. They are always so expressive . . .
Très jolie sur le fond noir !! 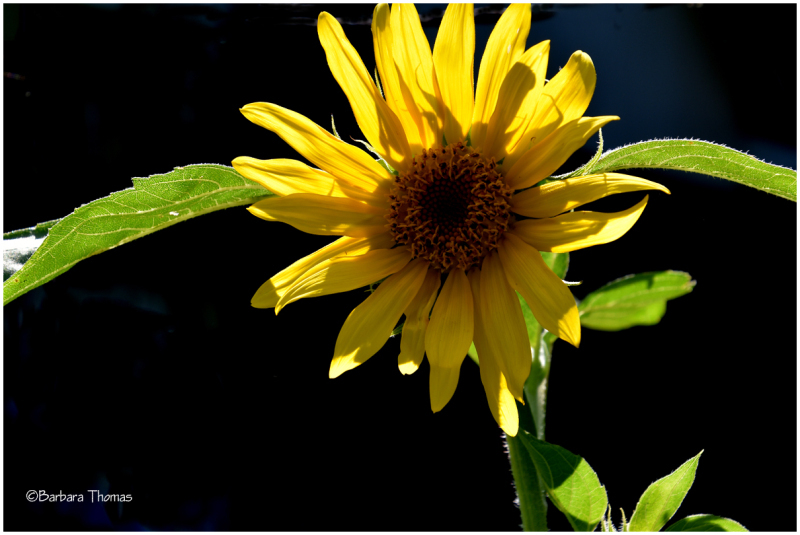 Superb sun light on the sunflower !!!!! I like the way the light catches the flower. Superbe avec cet arrière plan noir ! Superb with this black background! Ah, yes! The "summer lady" that looks both beautiful and lazy! I like the way you captured it, Barbara, lit from behind. Another great flower that I keep forgetting to plant!